Past, Present, And Future – On Memorial Day We Salute You, Our Precious Veterans! May 25, 2015 ~ Lorra B. As we spend Memorial Day with friends and family, let us take a moment and consider who sacrificed in order that we might have the freedoms we hold so dearly. Past, Present, and Future – Consider the people who will not be celebrating with their loved ones, those who have given the ultimate sacrifice with their very lives while serving in the country’s Armed Forces. Give also thanks to the people who suffered great loss and distress and sing their praises for if not for the unselfish and courageous acts of these brave families we might not be living freely today. Though the words will simply never be enough, for they ring hollow in light of their forfeitures, we thank you our precious Veterans – Past, Present, and Future. A people persecuted beyond imagination;To help them he felt, was his obligation.He joined the army in World War II;Not knowing his hell would be Eyes of Blue. When he reached Normandy, the beaches were red.Crawling over his brothers who lay already dead.To give this tyrant, this devil his due;Not knowing his own demons, would be Eyes of Blue. He rounded a building securing a town;A young German soldier was just coming round.He plunged his bayonet, the quicker of the two;Killing the young soldier, with Eyes of Blue. He knelt down beside him with tears in his eyes;How long this moment would last, he did not realize.He closed the eyes as he thought he should do;Thinking never again to see those Eyes of Blue. The victor over many in Germany and Japan;It was always difficult taking life from a man.None would haunt him, this he now knew;As long as the soldier, with Eyes of Blue. He died an old man, to heaven he went;For this honorable soldier, mercy was sent.First time since the war, so sad but true;A peaceful sleep, not seeing Eyes of Blue. 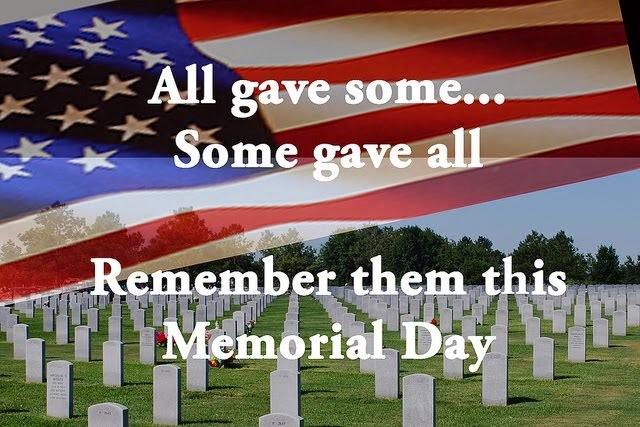 This entry was posted in Government, Military, News, Politics and tagged conservative blognetwork, Facebook, Memorial Day, Memorial Day Poems, Silent Soldier, Veteran Sacrifices, Veterans. Bookmark the permalink. Thank you for this wonderful tribute to our heroes. And thank you for all you do to instill patriotism and honor into our hearts!